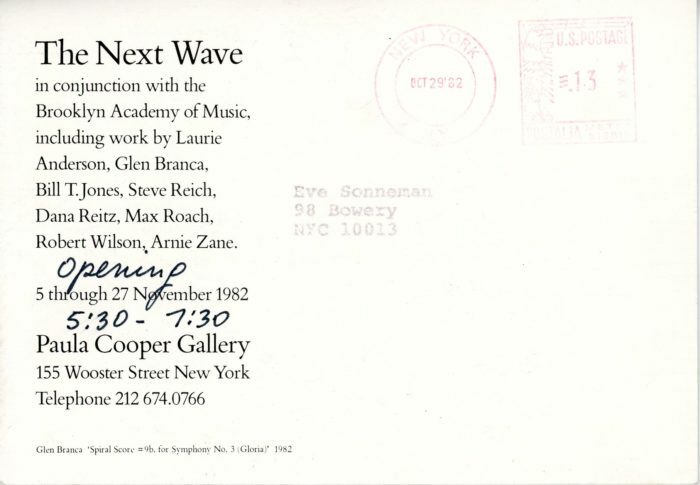 Postcard invitation to the opening of Paula Cooper Gallery’s exhibition The Next Wave in conjunction with the Brooklyn Academy of Music, November 1 – 27, 1982. Participating artists included Laurie Anderson, Glenn Branca, Bill T. Jones, Steve Reich, Dana Reitz, Max Roach, Robert Wilson and Arnie Zane. 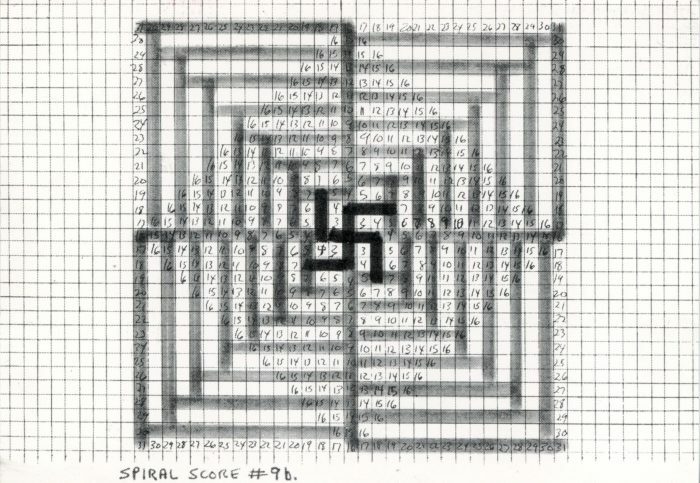 The front of the card features Spiral Score = 9b. for Symphany No. 3 (Gloria) by Glenn Branca, 1982.